Stainless Steel 316 Hex Nut Suppling at Qatar, SS DIN 1.4301 / 1.4306 Allen Cap Screw, ASTM A193 SS Threaded Stud Manufacturer, Stainless Steel 316L Hexagon Nut Suppling at Netherland , SS 316 / 316L Hex Domed Cap Nuts Manufacturing at Morocco, Stainless Steel 316 / 316L Hex Head Screw Manufacturer & Stockist in Mumbai, India. Alpha Overseas supplies SS 316 / 316L Fasteners, which has excellent formability. The addition of molybdenum and slightly higher nickel content make Stainless Steel 316 Fasteners suitable for architectural applications in severe settings, from polluted marine environments to areas with sub-zero temperatures. 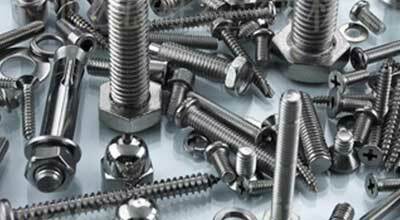 SS 316 Fasteners is molybdenum-alloyed steel and is the second most common austenite stainless steel (after grade 304). Alloy 316 Fasteners has austenite as their primary phase (face centered cubic crystal), which further has excellent forming and welding characteristics. Grade 316 Stud Bolts are more resistant to general corrosion and pitting/crevices than conventional austenitic stainless steels. The austenitic structure also gives these 316 Stainless Steel Fasteners excellent toughness, even down to cryogenic temperatures. As family, Type 316 Nuts has industrialized inscrutability as a lurid to machines. Stainless Steel 316L Fasteners is the lower carbon version of 316 and is immune from sensitization; therefore, it is very frequently used in heavy gauge welded components. SS 316L Washers refers to the lower carbon content to allow for greater corrosion protection when welding. Stainless Steel 316 Square Neck Bolts, SS UNS S31600 / S31603 Stud Bolts, Stainless Steel 316 Spring Washers Suppling at Indonesia, SS 316L Self Tapping Screw, Stainless Steel 316 /316L T-Head Bolts, SS 316 / 316L Threaded Rods Manufacturing at UAE, SS 316L Fasteners Supplier & Exporter in Mumbai India. Compared to chromium-nickel austenitic stainless steels, Alloy 316L Fasteners offers higher creep, tensile strength and stress to rupture at elevated temperatures. While similar to Type 304, Grade 316L Fasteners exhibit better corrosion resistance and are stronger at elevated temperatures. This permits usage of 316L Stainless Steel Fasteners in severe corrosive environments such as isolator diaphragms. Type 316L Fasteners holds excellent weldability, ductility, formability and potency. 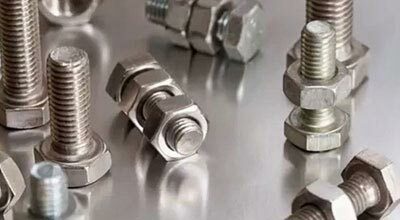 We are Exporter of Stainless Steel 316 Fasteners in Worldwide Such as Germany, Kazakhstan, Poland, France, Oman, Switzerland, Saudi Arabia, Trinidad & Tobago,Tunisia, Egypt, Denmark, Indonesia, Libya, United States, Israel, India, Yemen, Sri Lanka, Vietnam, Ecuador, Hungary, Thailand, Slovakia, Bolivia, China, Ghana, Nigeria, Serbia, Croatia, South Africa, Namibia, Norway, Greece, Singapore, Russia, United Kingdom, Portugal, Bhutan, Morocco, Chile, Nepal, Netherlands, Tibet, South Korea, Canada, Hong Kong, Colombia, Kenya, New Zealand, Mexico, Qatar, Belgium, Venezuela, Gabon, Angola, Lithuania, Zimbabwe, Lebanon, Romania, Puerto Rico, Iran, Brazil, Finland, Japan, Philippines, Peru, Macau, Poland, Australia, Malaysia, Czech Republic, Spain, Bulgaria, Iraq, Azerbaijan, Bangladesh, Algeria, Chile, Nigeria, Afghanistan, Italy, United Arab Emirates, Mexico, Pakistan, Ukraine, Sweden, Ireland, Gambia, Iran, Turkey, Bahrain, Jordan, Taiwan, Argentina, Mongolia, Austria, Belarus, Kuwait, Costa Rica, Estonia. We are Suppliers of Stainless Steel 316L Fasteners in India Such as Bangkok, Courbevoie, Noida, Thane, Petaling Jaya, Perth, Vung Tau, Granada, Nagpur, Kolkata, Los Angeles, Mexico City, London, Atyrau, Aberdeen, New York, Chandigarh, Kuwait City, Algiers, Dammam, Hong Kong, Busan, Moscow, Dallas, Bhopal, Lagos, Manama, Muscat, Al Jubail, Santiago, Seoul, Madrid, Jeddah, Caracas, Tehran, Ahmedabad, Mumbai, Faridabad, Port-of-Spain, Visakhapatnam, Jaipur, Toronto, Ankara, Karachi, Pune, Ernakulam, Vadodara, Ho Chi Minh City, Secunderabad, Milan, Geoje-si, Jamshedpur, Houston, Sydney, Ludhiana, New Delhi, Pimpri-Chinchwad, Coimbatore, Brisbane, Chennai, Nashik, Cairo, Kuala Lumpur, Al Khobar, La Victoria, Jakarta, Lahore, Istanbul, Dubai, Abu Dhabi, Kanpur, Baroda, Colombo, Indore, Melbourne, Calgary, Singapore, Gimhae-si, Rajkot, Gurgaon, Howrah, Hanoi, Surat, Ulsan, Chiyoda, Navi Mumbai, Rio de Janeiro, Sharjah, Hyderabad, Montreal, Ahvaz, Haryana, Thiruvananthapuram, Bengaluru, Riyadh, Doha, Ranchi, Bogota, Edmonton.